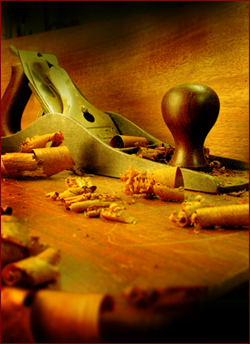 Michael Doiron, founder and president of the Housewright Company, on the history of the business. rom the age of fourteen, I spent all my high-school summers working for my dad. His construction company, R.J. Doiron Construction, filled the important needs of growing families who wanted to expand their post-war capes with shed dormers, and their ’60s ranches with second levels. The work was hard, hot, and long—from sunup to sundown. My dad toughened me up and taught me how to build, and more importantly, he taught me the importance of a good work ethic. I will always be grateful for the experience of working with him. With all my dad’s lessons under my tool belt, I sailed through vocational high school carpentry on a breeze and graduated at the head of my class. More full-time work followed with my dad’s company. I fine-tuned my skills as we worked on the every-day-type jobs, and expanded that knowledge (and, unknowingly discovered my passion and expertise) when we worked on some beautiful older homes. I learned the fine art of finish carpentry on nights and weekends as I worked with a talented associate. At about the same time that my dad, in response to a happy mid-life crisis, took early retirement and moved to New Hampshire to become a full-time ski instructor, I began my career in the field of high end building on the North Shore of Boston’s golden coast. I worked successfully for several companies, learning as much as I could from each, but there came a time when I felt that I really wanted to do things my way. 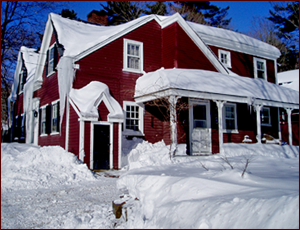 On April 1, 1997, I established Michael Doiron Housewright as twenty-nine inches of snow fell outside my window. My first day in business was a day off! Yeah! There weren’t too many “snow days” after that. Our company has grown steadily. With each job we complete, our excellent reputation grows and our list of satisfied customers gets longer. 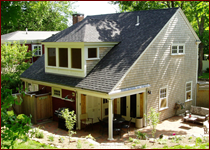 Two years before I started M.D.H., my wife and I had bought a circa-1750 Cape Cod house, complete with a couple of additions. It was in such bad shape that most people considered it a tear-down (my dad offered us some matches). After I removed the many layers of drywall, acoustical ceiling tiles, linoleum, and hollow core doors I found that the bones and even some trim, flooring and plaster could be saved, restored, duplicated, and added to. 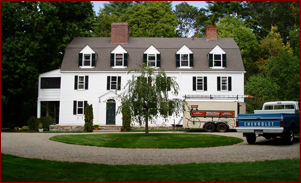 All my work caught the eye of a local architect who recommended me for the high-profile restoration of a first-period saltbox on Argilla Road in Ipswich. I completed the project and was pleased and proud to win the "Mary Connelly Preservation Award". 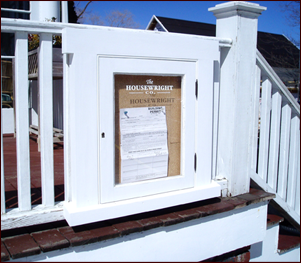 I even appeared on This Old House television show and in an article in their magazine. This project was the jumping-off point to countless more challenging, fun, and rewarding projects. 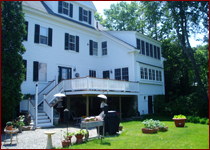 We did major renovations to a large shingle-style home in Annisquam. 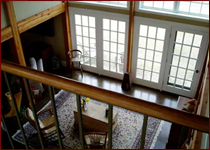 We built many design/build homes, additions, garages, and barns. To date, our largest project has been the total renovation – inside and out – of a 7,000-square-foot seaside “cottage” with an attached carriage house and detached pool house. Right down to our permit boxes, we eminate perfection. See more of our innovations here. phone book. We are still hard to find, mainly because we find all our work by word of mouth, and have an advertising budget of … just about nothing. The first ten years in business left me with a lot to be proud of: honoring my word, finishing what I started, paying all my bills and taxes, and sustaining a healthy happy family relationship. Of course, there are quite a few satisfying projects to look back on as well. I look forward to another twenty years of success, seasoned liberally with my trademark sense of humor. Some say I make it look easy, and some days it is. On the days that it isn’t, we learn something new. I hope you enjoy the valuable services we offer. Mike Doiron with his wife and two daughters still live in their restored antique, with an addition and a barn that are almost complete.